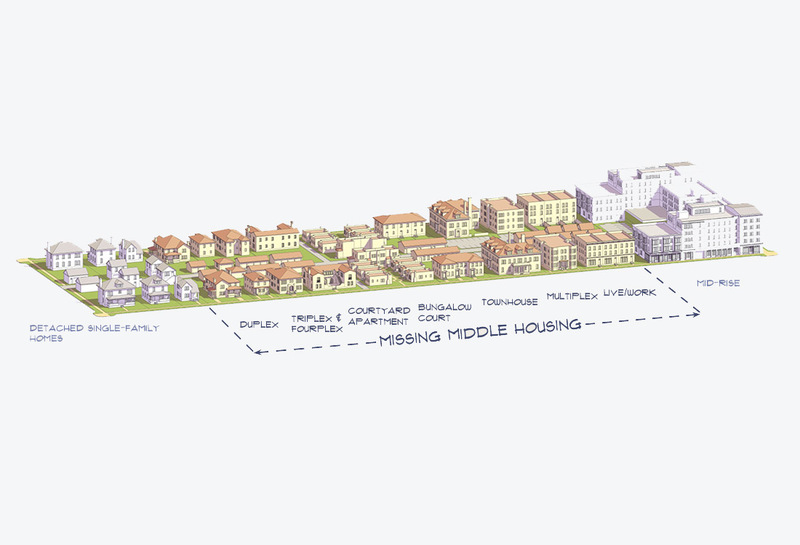 Missing Middle Housing are residential structures such as bungalows, duplexes, triplexes, etc. — dwellings that have have become quite uncommon for developers over the last 70 years. The Montgomery County Planning Department recently presented their Missing Middle Housing Study to the Planning Board on Sept 20, 2018, a study addressing the absence of MMH structures within Montgomery County and their case to revive them within the county’s current housing needs. The study also recognizes the challenges that should arise if missing middle housing were to be developed within the county’s current housing state but also presents the positive potential it would have for the county’s increasing population, as well as the opportunities it would have for those residents who seek more affordable housing options.